Century 21 Pro Real Estate specialises in property in Hua Hin and to the South from Pranburi towards the islands of Koh Samui and Phuket. Since opening in 2009, Century 21 Pro Real Estate agency has established a client network of over 500. This makes us one of the largest contributors to the increased interest for investors in Hua Hin area. We offer expert advice on the industry, buyers and sellers alike, with particular attention paid to new development projects. Having personal experience with buying off plan developments, we will provide a step-by-step guidance to ensure you make the best decisions for your future investments and new home. Our database provides a huge selection of property listings for rent or sale to suit all our customers. We also cover other nationwide locations including Phuket, Bangkok, Chang Mai, Krabi and Pattaya. Being part of Century 21 offers our clients, not only the comfort of being part of a globally acknowledged business but also has access to the resources of a worldwide network of 8,000 licensed offices with integrated support and shared information. Great Value Beach land with Small House. EMERALD RESORT: 4 Bed Pool Villa. THE GOLD 2: Great Quality 3 Bed Pool Villa. 3 bed Villa in Quiet Development. 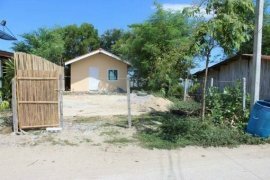 3 Bed Villa in Sam Roi Yod. Nice design 2 bed villa. 2 Bed Villa Near Beach. 1 Bed Condo For Sale. 2 Bed Condo in Town. Nice 2 Bed Villa : SOLD MARCH 2015. 1 Rai of Land for Sale. 3 Rai Beachfront Land for Sale in Khao Tao. Luxury 3 Bed Beachfront Condo. Villa Near Palm Hills (OFF-PLAN): 3 Bed Villa near Palm Hills Golf Club. Villa Near Palm Hills (OFF-PLAN): 2 Bed Villa near Palm Hills Golf Club. DHEVAN DARA: Garden Pool Villa. Great Quality 3 Bed Pool Villa.